Graphic design continues to be an important skill for architecture firms. Here are five offices looking for experts in the field via Dezeen Jobs, including AECOM and MAD. AECOM is looking for a graphic designer to join its design team based in Aldgate Tower, its London headquarters. 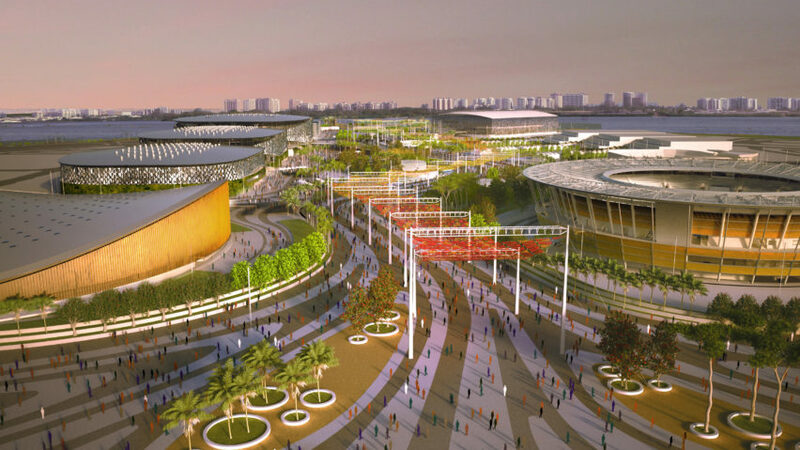 AECOM was behind the masterplan for the 2016 Olympic Games in Rio, a lagoon-side peninsula containing 15 sports venues. MAD is currently building the Lucas Museum of Narrative Art in Los Angeles – a museum dedicated to the work of filmmaker and Star Wars creator George Lucas. The firm is recruiting a junior or intermediate graphic designer to join its practice in Beijing, China. Eric Parry Architects has an opportunity for a graphic designer to join its practice in London. In 2015, the firm unveiled its design for 1 Undershaft, the City of London's tallest building, which is proposed to have 73 storeys. Atelier Brückner is looking for a Mandarin-speaking graphic or media designer to join its office in Stuttgart, Germany. Opened in 2008, the BMW Museum in Munich is among the studio's most notable projects. Weathering steel is used on the facade of Hebburn Central, a community library and sports centre near Newcastle, UK, designed by FaulknerBrowns Architects. The studio is seeking a graphic designer to join its practice nearby.